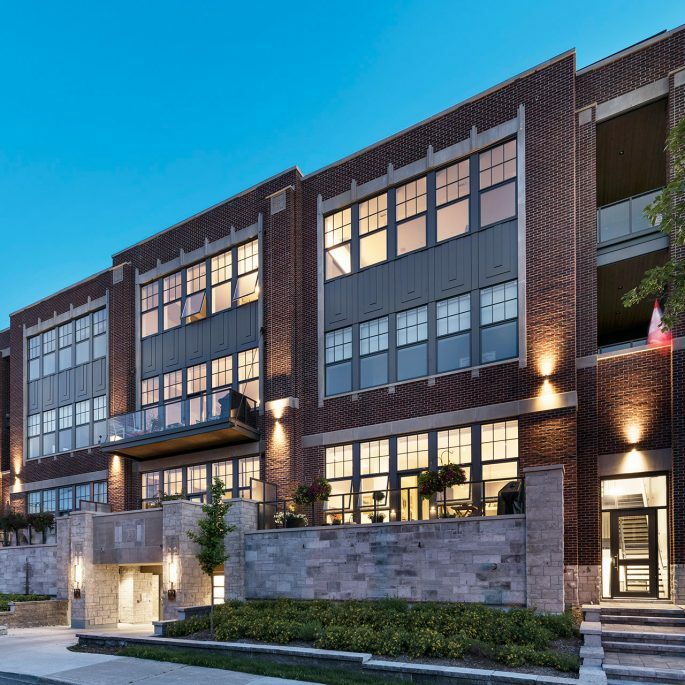 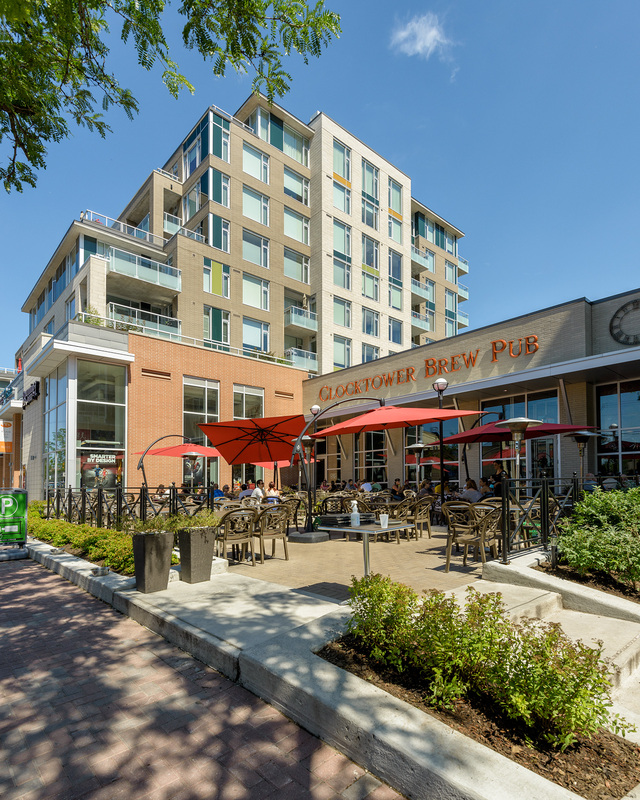 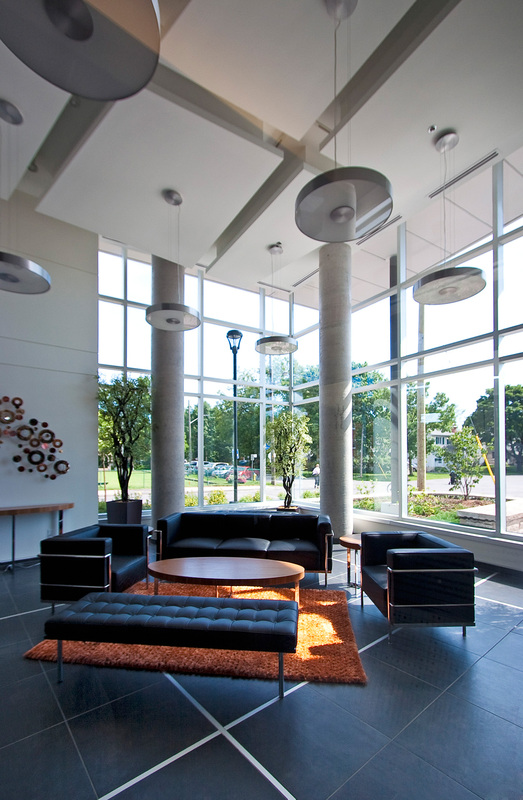 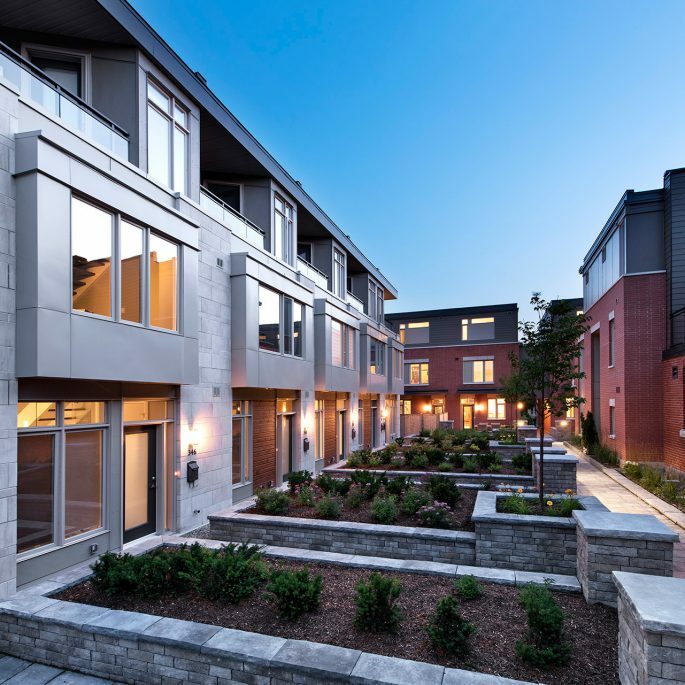 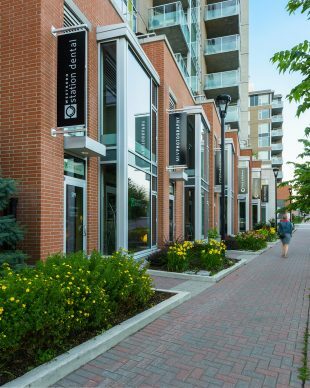 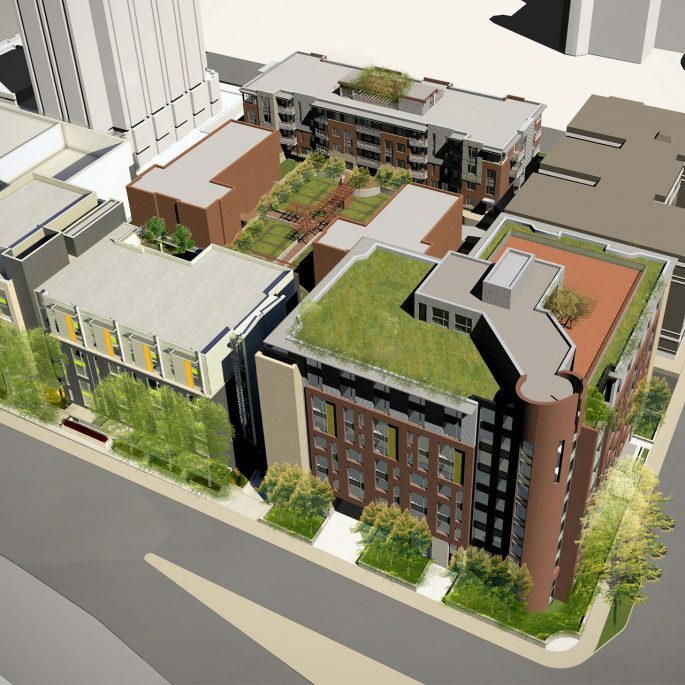 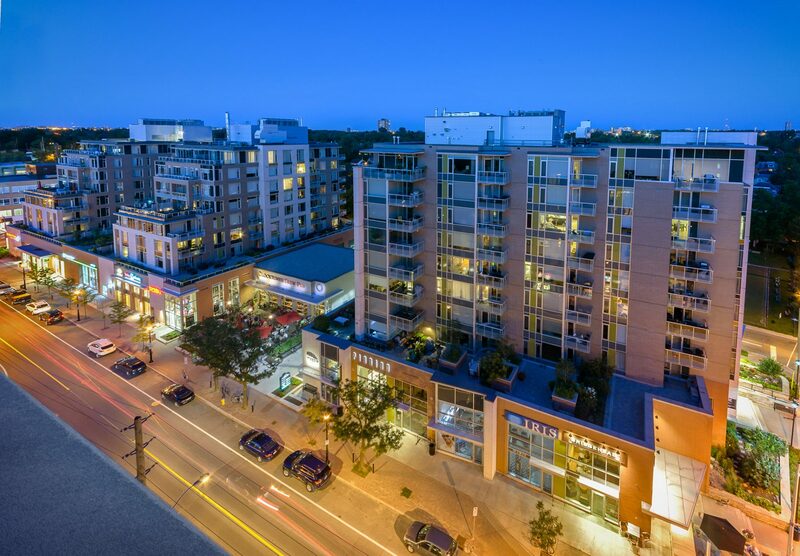 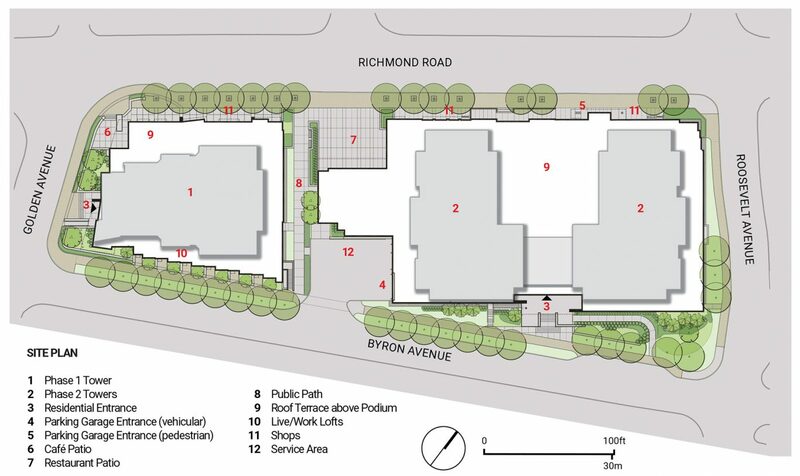 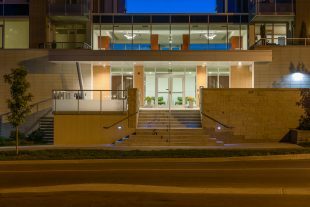 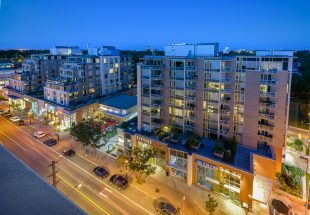 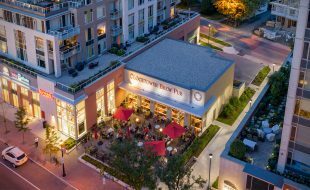 Westboro Station is the redevelopment of an entire block in Ottawa’s vibrant Westboro Village that previously contained some lowrise commercial buildings and an automotive service centre. 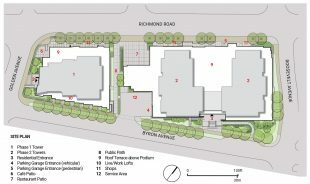 The site presented four different neighbouring conditions, each requiring a different response in the new development. The project’s name comes from the historic Byron Avenue trolley line that once occupied the greenspace to the west. 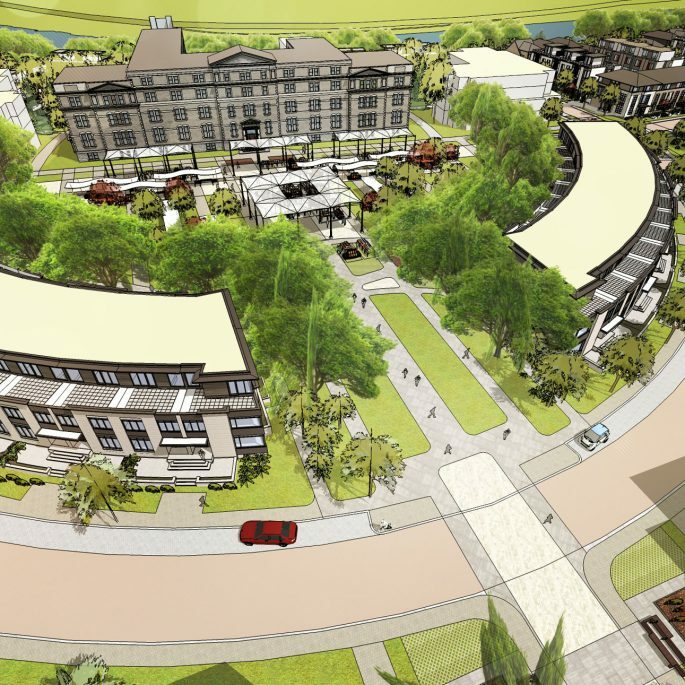 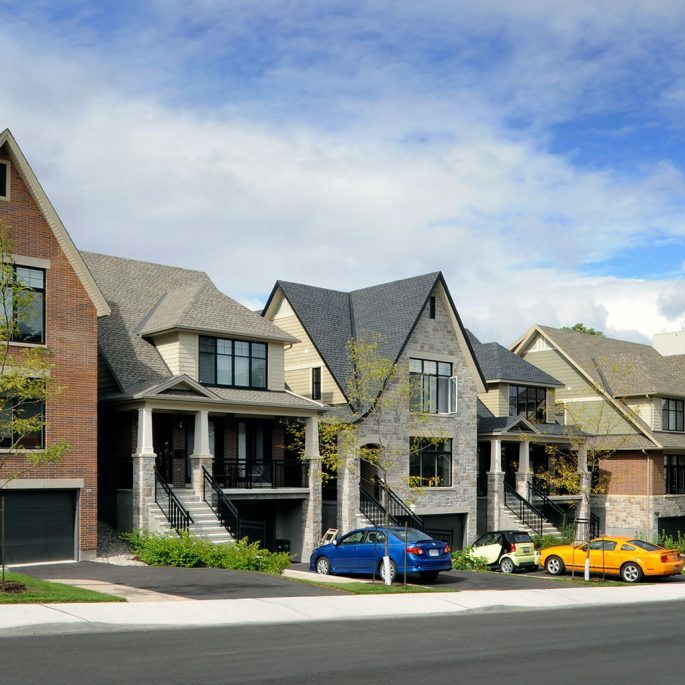 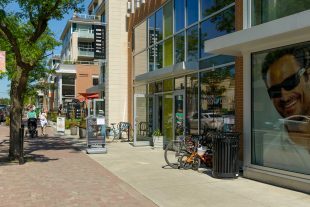 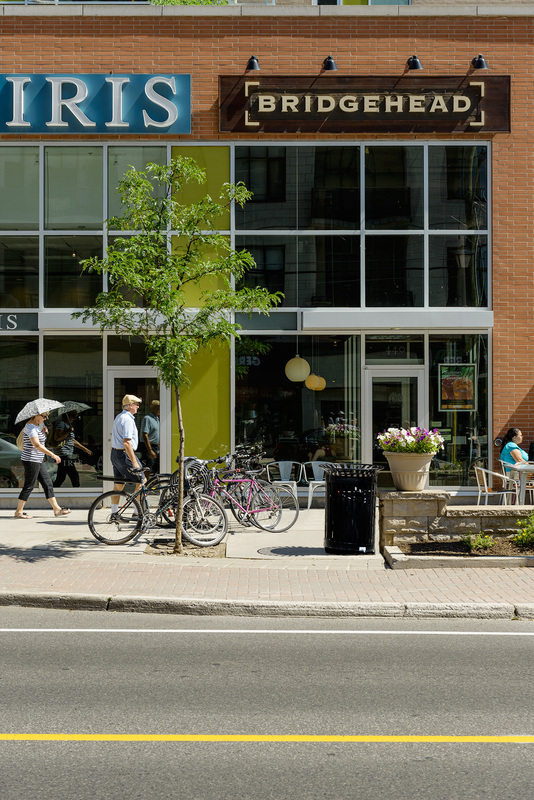 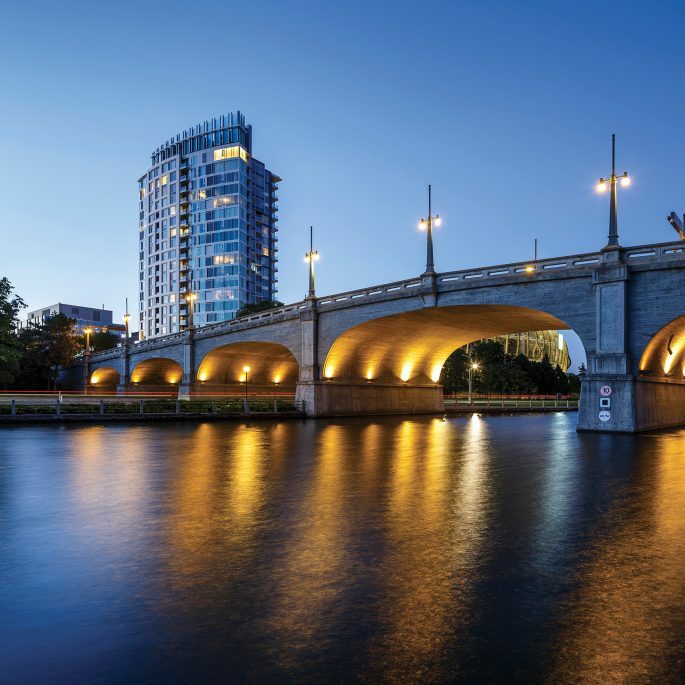 Westboro Village is a dynamic community that has retained its character throughout the years. 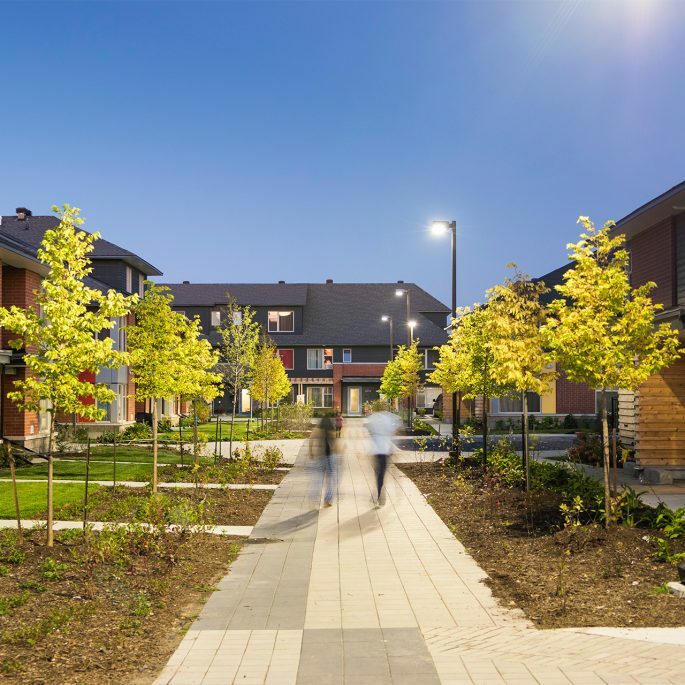 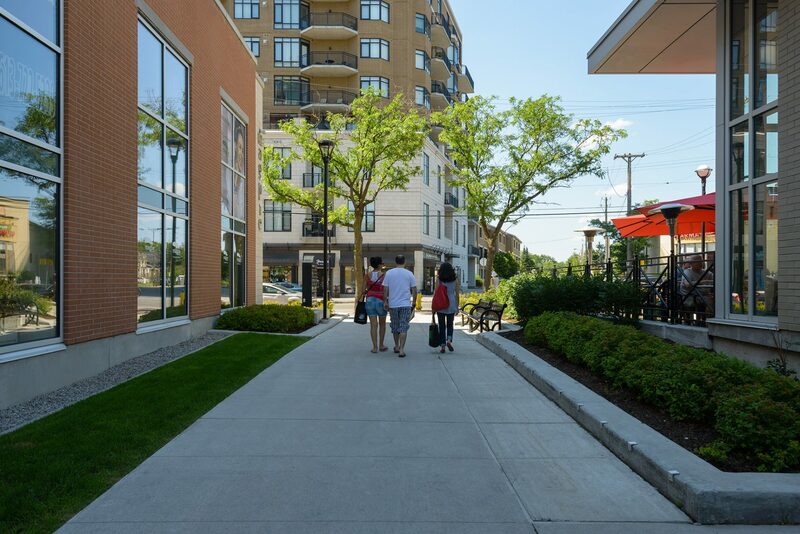 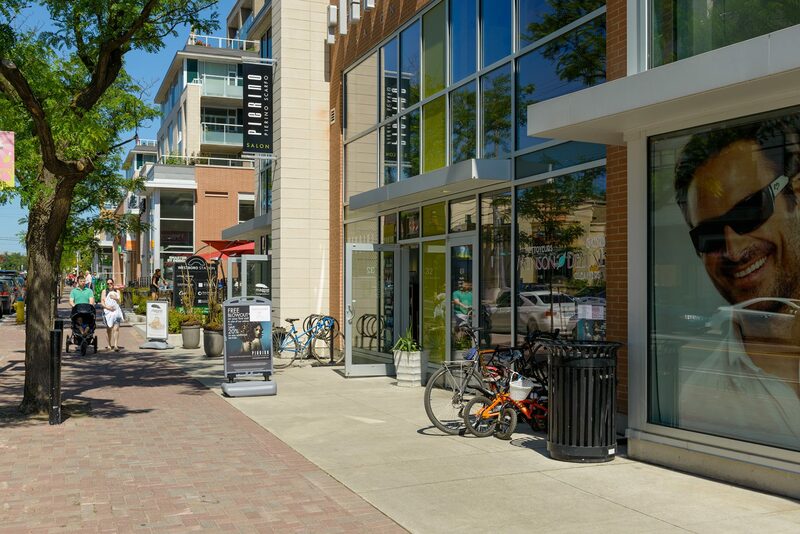 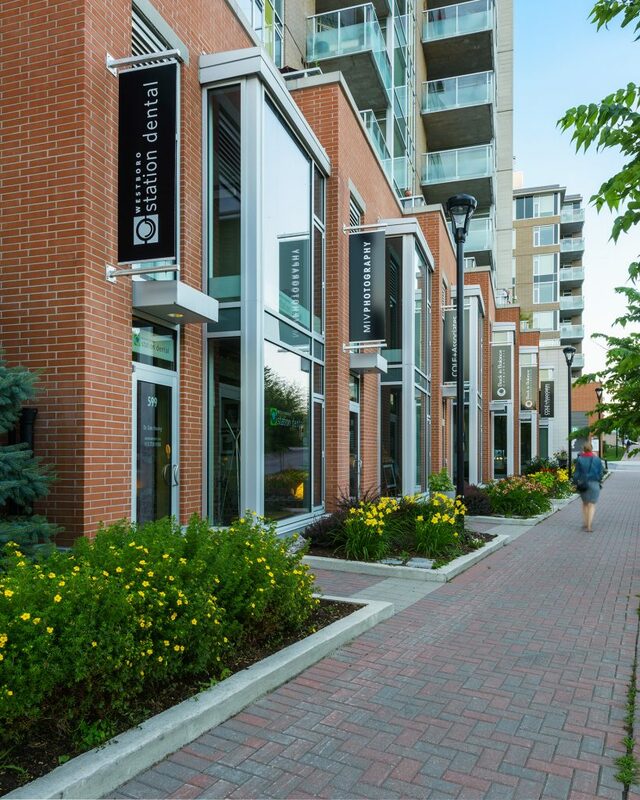 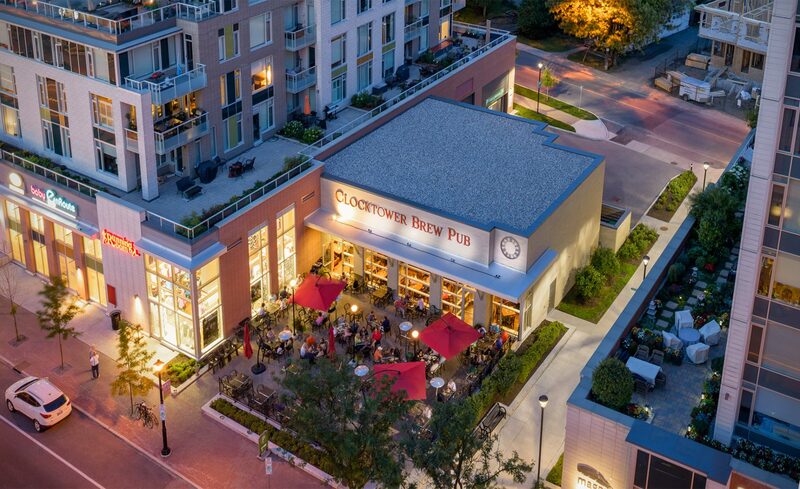 Pedestrian friendly, community orientated streetscapes continue to bind the village together. The site development for Westboro Station respects and builds upon this tradition. Approaching the site from the west is an experience that is now transformed by the striking facade of the west tower. 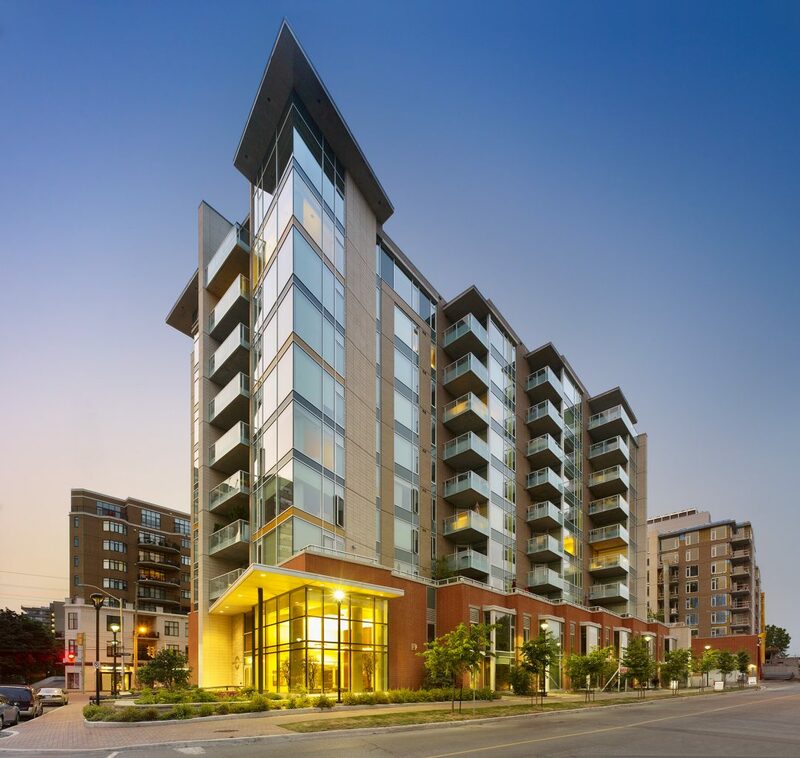 An iconic element is created in the acutely angled roof overhang and corner windows that define the southwest corner of the development. 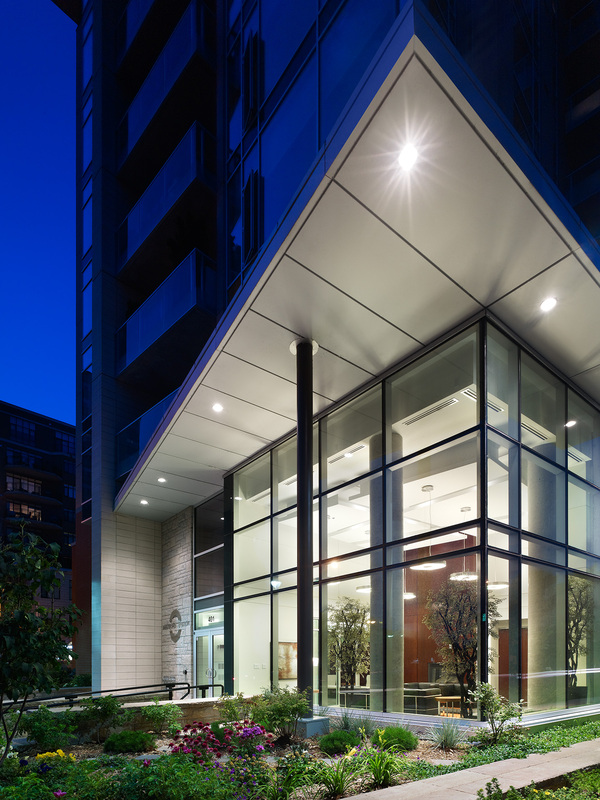 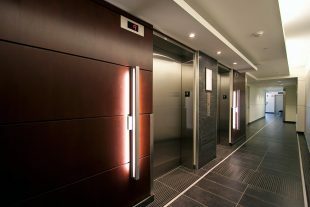 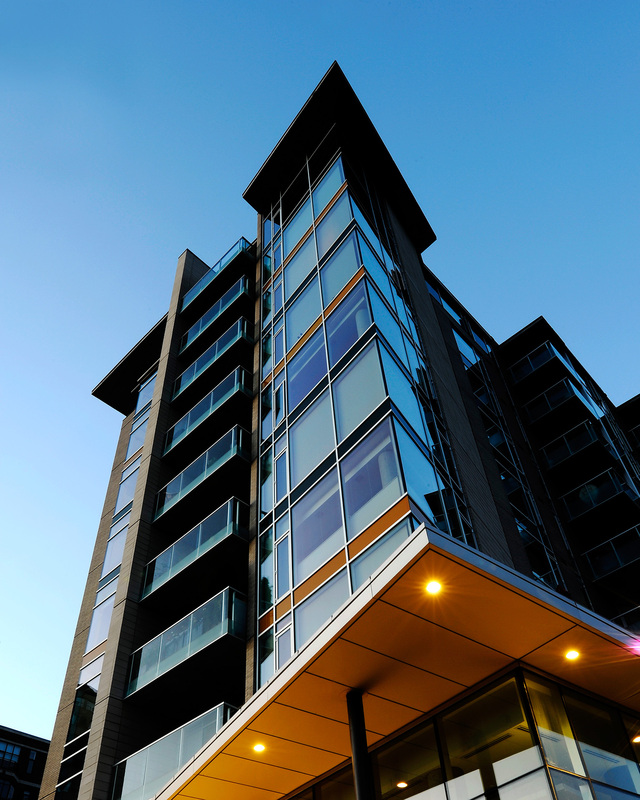 A linear wing wall extends from the ground to the top floor of the tower, breaking the podium at the condo entrance. 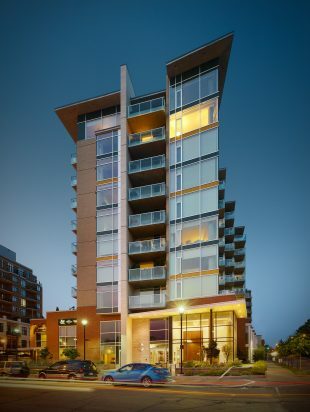 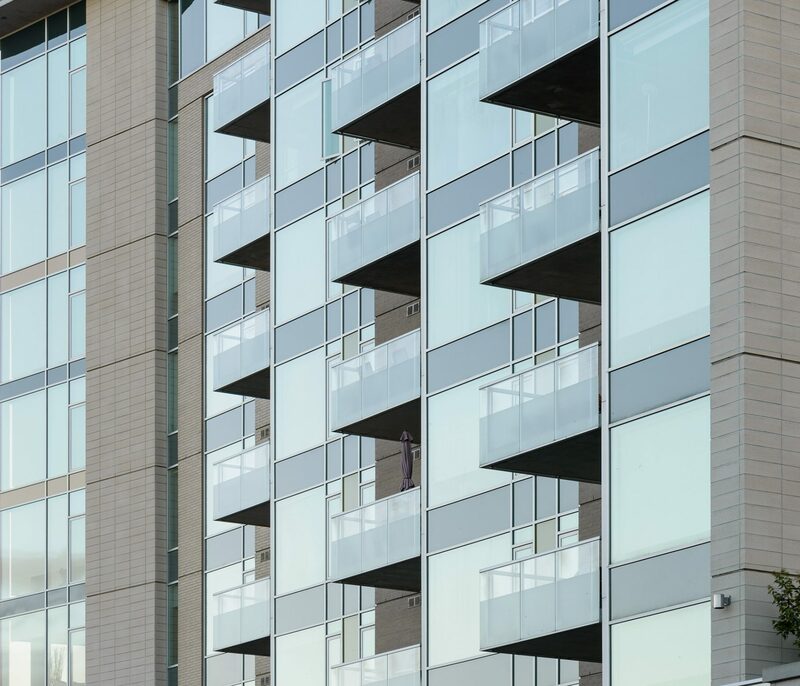 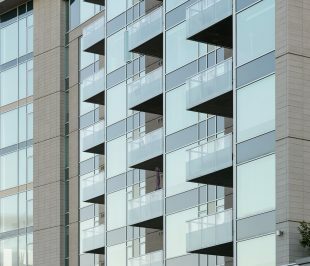 This is the only place in the development where the full height of the building is expressed as a single element. 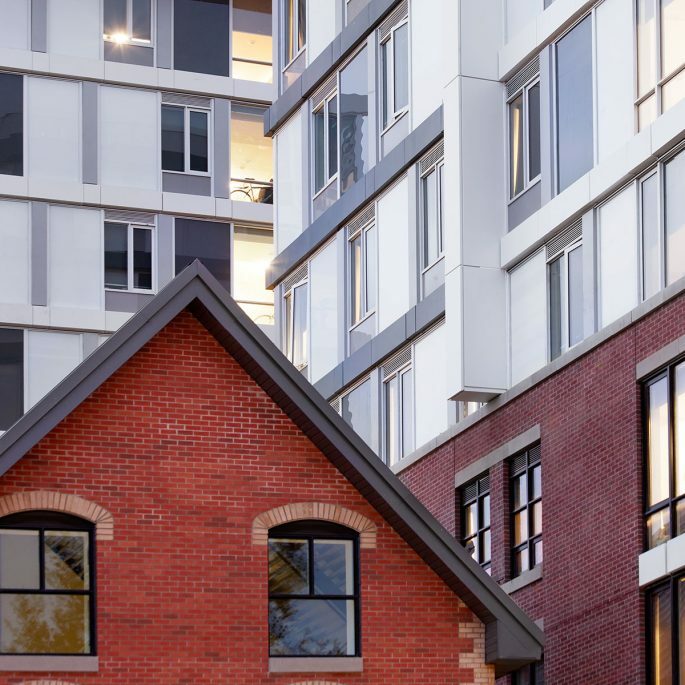 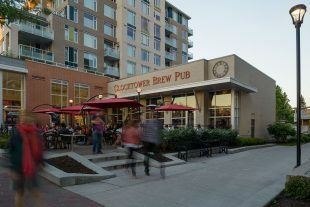 As the shape of the property narrows toward its west end, so too does the tower, forming a wedge shaped block with a relatively narrow west facing exposure. 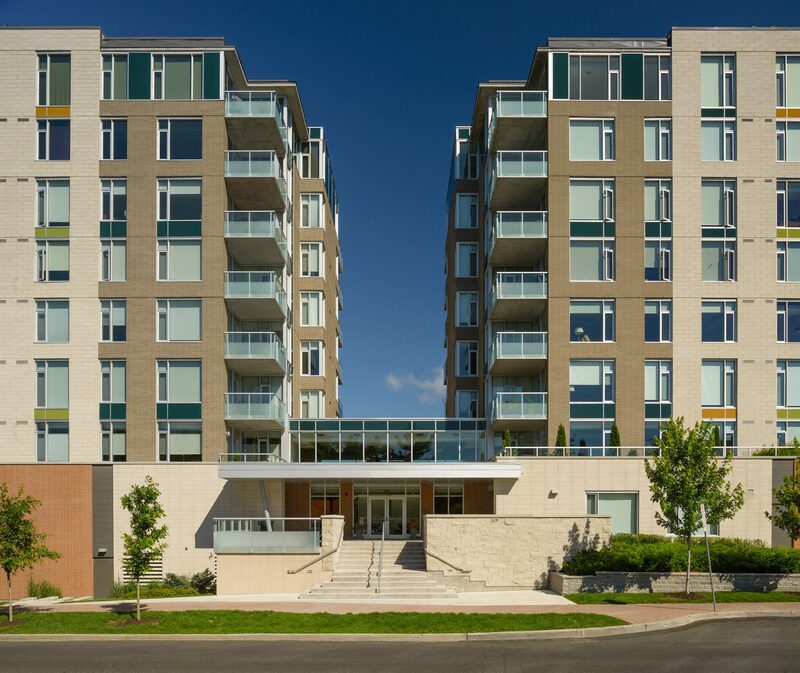 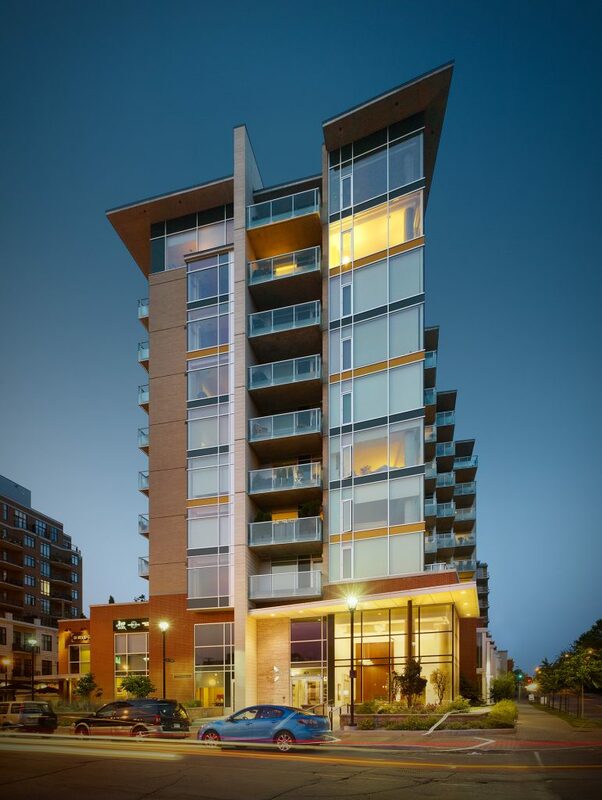 While zoning would have permitted a more massive, square shaped tower, this wedge shaped & stepped facade creates an eased transition from the green space to the west into the commercial area to the east.